The Coffee Region. One of the tourist attractions in Colombia. I am afraid of spiders. I am not keen on heights either. Then a canopy flying at a high speed should not be for me either. And it was in the coffee region in Colombia where I faced these two fears in less than two hours. The airport had only one lane. It was sourrounded by bamboo and banana trees. While landing in Armenia I was thinking about the country Armenia in Europe that I mostly heard about during the Eurovision Song Contest. However we came to a small city, one of the 3 main cities in the Coffee Zone in Colombia. A place where the most famous coffee comes from. Armenia lays at 1483 meteres above the sea level. 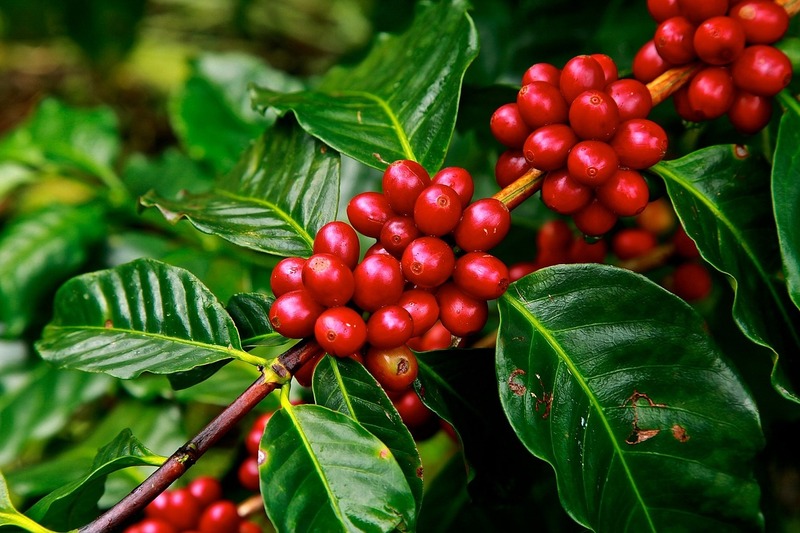 The Coffee Region is not only known for coffee production. It is also a perfect place for a weekend gateway from Bogota or even a longer holidays. Most of the hotels (fincas cafeteras) own their own coffee plantations and offer guided tours – you can learn about the coffee process from picking up the seeds to the coffee roasting process wearing traditional clothes. This is what we did. We stayed in one of the fincas cafeteras. In order to look like the real coffee collectors we got our aprons (even the kid got hers) and a kerchief for woman and a hat for man. We also got a waist basket. Then the fun has started. We were taken for the coffee process where we saw the machines and afterwards we went to the coffee plantations to pick up the coffee grains. Only the red one are ready to be collected. When our baskets were full we went to bamboo forest to roast them. You can also visit Recuca if there is no coffee plantation at your hotel. All of a sudden a giant spider came out from under a big pot when our guide wanted to light a fire. I wasn’t able to say anything for a while. Not even a shout. My legs felt like puddings. However the black, fluffy creature (tarantula) escaped and hid between the bamboo trees. I didn’t have enough cold blood to take a picture. But then again, would I be albe to have a look at spider much bigger than my hand now? Apparently the spider didn’t scare me enough as I decided to try the canopy – flying above the coffee plantations and banana trees. This canopy is the longest canopy in Colombia – 2 km in total and at Times the maximum speed reaches 75 km h. Before getting the tikets I made sure if I would stop it at any time and simply come back walking. I was told that from some places it is possible. I got the tickets. For safety reasond I had to put a protective helmet on my head and was explained what I should and should not do is different situations. And I flew away. The first part served as a warm-up. However the adrenalin reached almost its maximum levels. Some people were screaming either out of joy or fear flying over the coffee plantations. There are many attractions in the Coffee Region for kids. The fincas cafeteras (hotels with its own coffee plantations) also have some animals such as donkeys, chickens, horses ans it is even possible to milk a cow. There are also hotels with many playgrounds for kids. The Coffee Region can be reached by a plane from Bogota to one of the three airports – Pereira, Manizales and Armenia. You can also drive from Bogota. The journey may last about 6-7 hours. Cool, I have been there this year too and stayed at a super small finca, which was lead by a granny that only spoke Spanish. Such an honour to meeting this lady! I like your photos – keep it up! I can’t even imagine being that close to a tarantula. I had the goosebumps just reading about it! i’ve never been there but your amazing pictures make me want to go! I would have had a heart attack!! I hate spiders!! With a passion!! I’m glad you had fun though! I would love to get the experience of going to a coffee region. I am also very afraid of spiders so I completely understand. OMG the Tarantula story! EEEK… But this look like an amazing trip! That looks like an incredible adventure. It looks like I’m with most of the other commenters when I check-out at the spiders part. Yikes! This looks like a great place to go! Seems like you had lots of fun! OMG How Scary! I also can’t stand spiders or heights! However the place is beautiful… I hope you enjoyed your time there! That looks like such a fun adventure. I never would have known there was that much to do there!